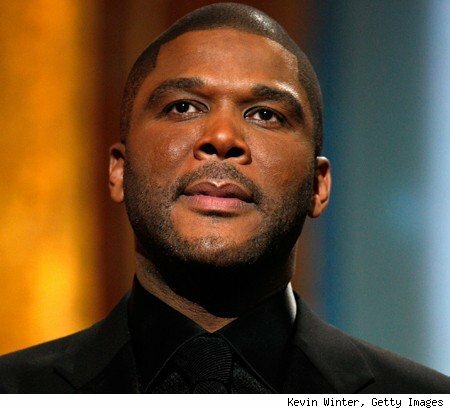 Previously, we told you about media mogul, Tyler Perry, going on the 'Tom Joyner Morning Show' to announce that he was cancelling the last leg of his latest tour after bootleggers spiked the ticket prices. Unfortunately, due to circumstances that I can't control, we've had to cancel this leg of the Madea Gets A Job tour. Here's why. I set a ticket price for the show starting at $25. The reason I set the price so low is so that everyone could get a chance to come out and see the show. I know how tight things are right now. I GET IT! I do not tour to make a living, I tour because I love staying connected to all of you. I love seeing your faces, hearing you laugh and seeing you enjoy yourselves. It gives me great joy. Even though it's a lot of work, I really don't mind doing it. Because of that, what I do is make sure that the promoter sets a reasonable ticket price and the prices are $25, $45 and $65. Even though I set these prices so that they are affordable, fees are added that are out of my control and the price of the tickets can almost double. Add to that, when you go online looking for tickets, IN LOTS OF CASES, you are being led to a bootlegger and you don't even know it. There are a lot of ticket bootleggers and scalpers that buy lots of shows and sell them to the public for double, sometimes triple the price. I've been dealing with this for years but now with the internet I've never seen it this bad. Also, there are some horrible people who are pretending to be me or representing me on Facebook and charging people money to do a meet and greet on the tour (I posted a picture below of what they are doing). They are telling people that they are me or working for me and charging them $150 for a meet and greet after the play. DON'T FALL FOR THIS!! That's not me. This is so frustrating! Why are people so evil? Why can't people just get legitimate jobs and stop trying to do the wrong thing all the time? If they put the same amount of energy into doing the right thing as they do in doing the wrong thing they could make it. It's so sad. To all of you who have bought tickets and made plans to be there I am so sorry. I really am but my hands are tied. This was the last live Madea tour and I'm super sorry that you won't get to see it live. All refunds should be given back to you. And this is why I like Tyler Perry! He doesn't stand by and watch foolishness happen. It is sad that you have so many scammers out there. I know times are hard but making living by ripping people off is not the answer. At least TP fans don't have to worry about being scammed in regards to this play since he's cancelled the tour.